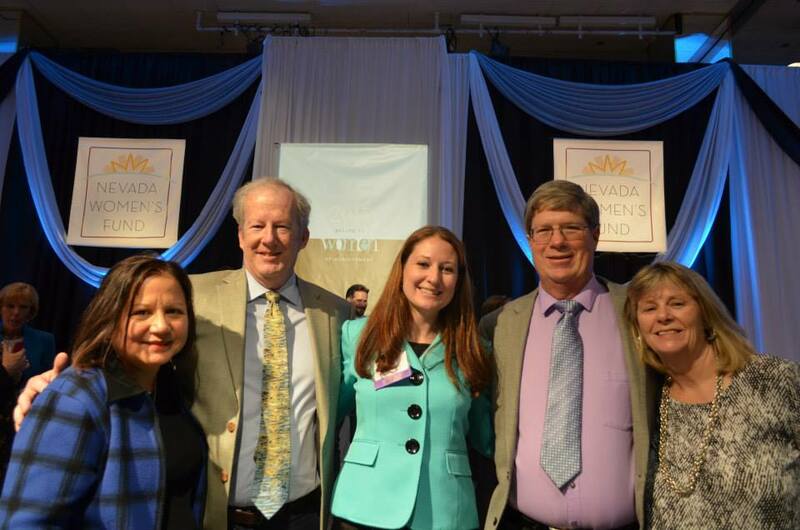 I was an Honoree at the 2015 Salute to Women of Achievement, the annual Nevada Women’s Fund luncheon. The experience was amazing! I was honored with 57 other women, including many women I look up to in the community, such as our Mayor and one of my favorite County Commissioners. The Nugget nominating committee wrote a list of candidates and I was chosen to be honored. The award means a great deal to me, especially because I’ve known many of the past and present Nevada Women’s Fund board members and honorees. They are truly remarkable women that I’ve looked up to as I’ve developed my career. One of these women that has inspired me is Fritsi Ericson. I joined Rotary Club of Reno at the ripe old age of 23. Upon joining the club I noticed there weren’t that many women, but one of the few women I met was Fritsi Ericson. Fritsi is a brilliant doctor (retired) a community volunteer, a philanthropist, and someone I look up to for her grace, sophistication, education, sense of humor, and authenticity. Fritsi is not only a Rotarian, she was one of the founding board members of the Nevada Women’s Fund back in 1982. Her desire to inspire women to achieve has touched thousands of lives and she has made a difference in the world. I’m honored to be acknowledged by this group that Fritsi helped found. 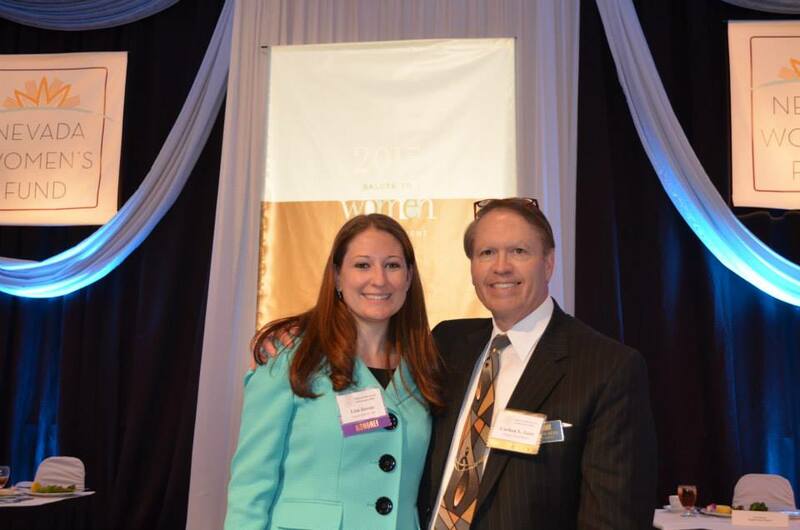 Another member that has inspired me is my former boss, Beth Cooney. She is also a board member for the Nevada Women’s Fund. When I first started working for Beth at the Nugget she taught me about the charity organization. I’d always heard about the organization but never really knew how much of a difference they made in the community until Beth opened my eyes. Beth was one of the best bosses I’ve ever had. She worked in the casino gaming industry, which is still a profession dominated by men, and she exceled! Beth was a great leader and role model. She has been extremely supportive, and someone I look to as a mentor. Although I don’t work for her anymore, I’m blessed to still have her as a friend and mentor. One of the biggest lessons I learned from Beth was that I could embrace my feminine side, out-work, and out-smart those that judged me as a young woman not capable of being in charge. Being an honoree meant so much to me because of Beth’s connection and all that she had taught me about being a professional woman working in a male driven industry. The example she set has motivated, inspired, and helped me move to the next level in my career. Being an honoree is a great experience. The day starts off with a continental breakfast and networking with other honorees and Nevada Women’s Fund volunteers and board members. The whole day is essentially a special event. After the networking games there was a workshop on leadership by Meggin McIntosh, a 1992 honoree. The workshop focused on leadership skills and our habit of living in the past, present, and future tense. It was a fantastic workshop, and Meggin is incredibly funny and entertaining. After the workshop we attended a reception with our sponsors where we were treated to mimosas, champagne and chocolate covered strawberries. All my favorite things! We enjoyed the reception while all the luncheon attendees were being seated. Then it was our turn to be presented as women of achievement. They had us walk out in a precession line to Katy Perry’s song “Firework.” My boss and I were last in line. We walked in with the other honorees and sponsors to a standing ovation of over 1,000 event guests, and a line of Nugget servers, chefs, and our banquets team cheering for us. Then I saw my family-friends and coworkers at the Nugget table cheering for us. It was really fun! After the precession we were introduced on the main stage with our sponsors and then seated for lunch. 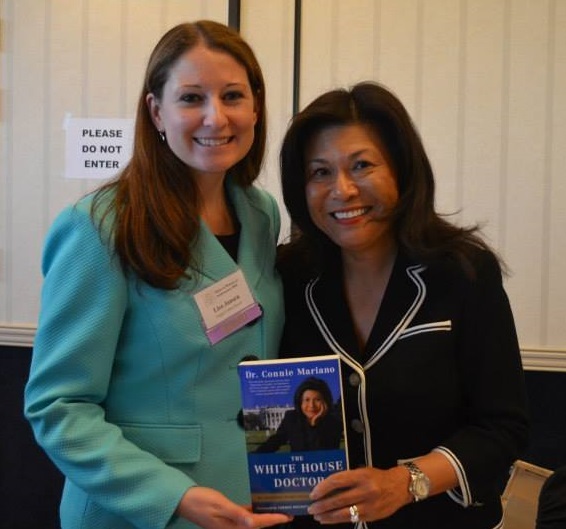 Dr. Connie Mariano, author of “The White House Doctor” was the guest speaker. Her presentation gave us a sneak peek at her life and what it was like to be the doctor who treated three presidents. Dr. Mariano was a dynamic guest speaker and a little bit of a firecracker, just like you’d expect from a retired Navy rear admiral. During her program she spoke about being authentic and finding your authentic voice, it really stuck with me and I’ve been thinking about it a lot since the award ceremony. Authenticity is one of the most important characteristics, yet often overlooked or covered up with fakeness. After the lunch was over we were able to meet Dr. Mariano and have her sign our complimentary books. I’m looking forward to reading her book this summer. 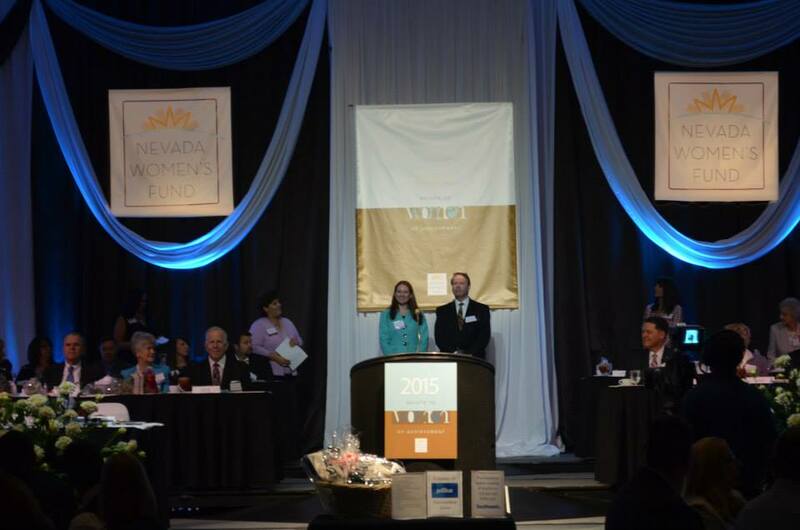 The Nevada Women’s Fund 2015 Salute to Women of Achievement Luncheon was an exceptional event. The event was well planned and everyone enjoyed the experience. We all walked away after the luncheon feeling inspired. I myself was inspired to keep striving for excellence and to help other women along the way, just like I was helped throughout my career by many great ladies that cleared the way and made it easier for my generation. Since 1982, the Nevada Women’s Fund has distributed $6.3 million to worthwhile community organizations and funded 1,350 scholarships. For 32 years they have been inspiring achievement. For more information about the Nevada Women’s Fund or to donate to the cause, please visit their website at www.nevadawomensfund.org.